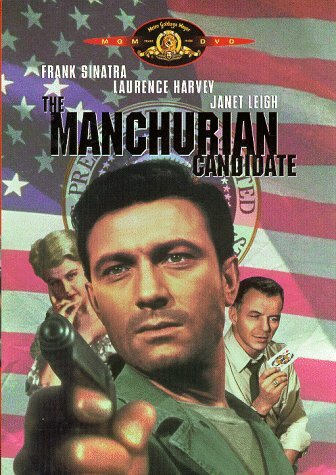 The original 1962 film, The Manchurian Candidate, was a U.S. 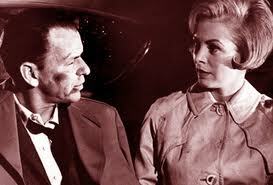 Cold War political thriller and starred Angela Lansbury, Frank Sinatra, Janet Leigh, and Laurence Harvey. The remake of this classic substituted a Korean War veteran with a Gulf War veteran and gave it a modern twist. 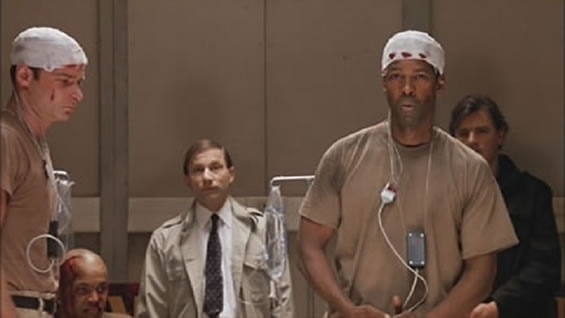 Directed by Jonathan Demme, it included an all-star cast with Denzel Washington, Meryl Streep, Liev Schreiber, and Jon Voight. Which version do you prefer? The plots are similar. The acting in both are top rate. 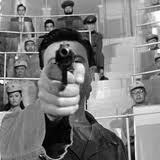 The conspiracy, brainwashing, and greedy shenanigans seemed relevant in the Cold War classic as in the modern version. My vote? I think Angela Lansbury’s performance was so cold and evil, it bested Meryl Streep. Liev Scheiber was a fantastic Raymond Shaw, and Denzel Washington and Frank Sinatra’s performance was a draw, but what do you think? Hi Cindy! I have only seen the remake so I can’t say which one I prefer. The thing is, I’m not all that interested in the subject matter so I don’t know if I’ll see the 1962 movie. It’s not a contest for me. John Frankenheimer’s cold war masterpiece. Yes. Don’t you think the black and white film adds to the “cold” feeling of the film? I love the original film. Oh, yeah. It’s an addition texture for the film. I really enjoyed both versions. I think that the remake was a good update with an outstanding cast. Their performances made the movie probably as good as the original. You couldn’t have asked for a better remake in my opinion. Nice post Cindy! 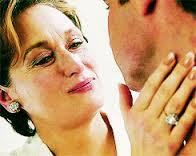 Yes, I thought they stayed true to the original and I ♥ Liev Schreiber–I thought he was outstanding. Unfortunately the TIME that a movie is released can vitally impact it’s importance. The political climate, the ideas that were revolutionary at that moment – which we are not privy too now. If a remake can update such concepts to modern concerns and reality then there is something to be said. Otherwise it’s just a good story retold. Which is OK. 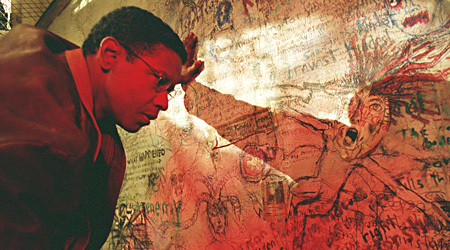 I like Denzel, but I liked the original better. Yep, me too! I appreciate your comments. Interesting question….I prefer the original. It is hard to beat the Cold War. It feels over-powering and inescapable. Yes. Angela Lansbury’s performance was so sinister. I believe the black and white film helped add to the coldness of the topic. Thanks for your comments. It is my personal belief that certain films stand above the strata and should not be re-made, re-imagined, or in any way messed with. 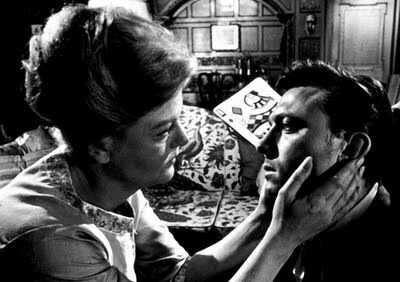 ‘The Manchurian Candidate’ stands high on that list. Due to it being very much of and in that time. 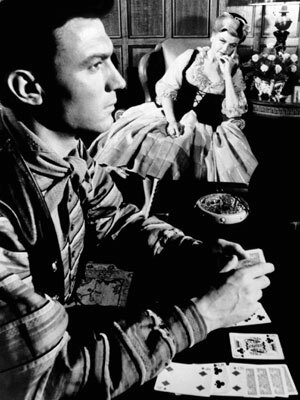 B&W cinematography, Sinatra, Laurence Harvey, Angela Lansbury, Janet Leigh, James Gregory and all. 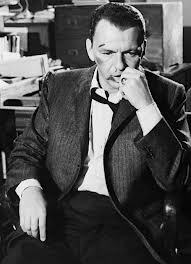 Frankenheimer hit a chord with this ensemble that has yet to be duplicated. 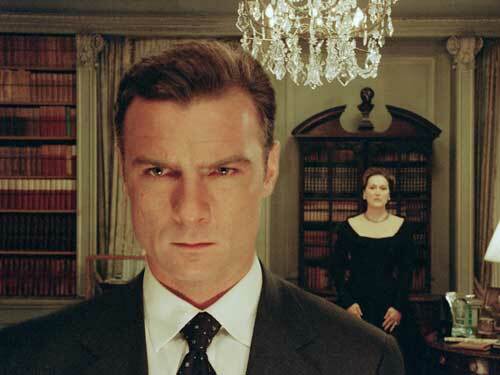 Liev Schreiber comes closest to Laurence Harvey’s inscruitible face and mannerisms. While Mr. Washington comes nowhere close to Sinatra’s Marco. And no one can touch Angela Lansbury as the politically striving Red Queen! As usual, I appreciate your comments and agree with you. I try to look at films much the same way I read the novel and when I see the film version, I separate the two as two distinct texts. 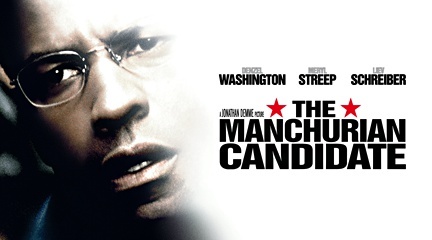 I liked very much the 2004 version of Manchurian Candidate in its own right. However, like you, the original is on a different level. Except for Schreiber. He was outstanding. Thanks, Jack! I would say I prefer the original. Angela Lansbury was so chilling and totally different from how I’m used to seeing her in films and TV. No kidding! You think of her from “Murder She Wrote” which is okay, but not my cup of tea. But I remember her in the Broadway version of Sweeney Todd and she was great. That film was chilling. I actually watched the 1962 version in 2004. Ironic! don’t you think. And the latter version I never got a chance to watch. But I do love the Black & White classic with Angela Lansbury. She was superb. And I’ve seen her in negative roles before as well. My favourite noir flick, Gaslight (1944), for instance, had her play a nasty maid. 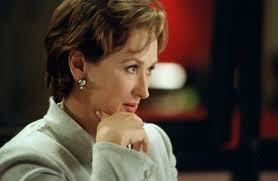 But I do generally like Meryl Streep as well as an actress. And I agree with your comment on separating books from movies. If a movie is bad, that’s ’cause it’s a bad adaptation, not ’cause it’s based on a book. There are plenty of cases where I love both books and their celluloid versions. Ha!! Ha!! Actually my name happens to be Nuwan Sen (Thus my film critiques are written under the byline ‘Nuwan Sen’s Film Sense’). From there comes ‘nuwansenfilmsen’ (and my blog is ‘No Nonsense with Nuwan Sen’); but Nuances in Films is good idea! Ha! At least blog name has a similar meaning. Yes, I’d like to chk out the newer MC, if I get a chance.